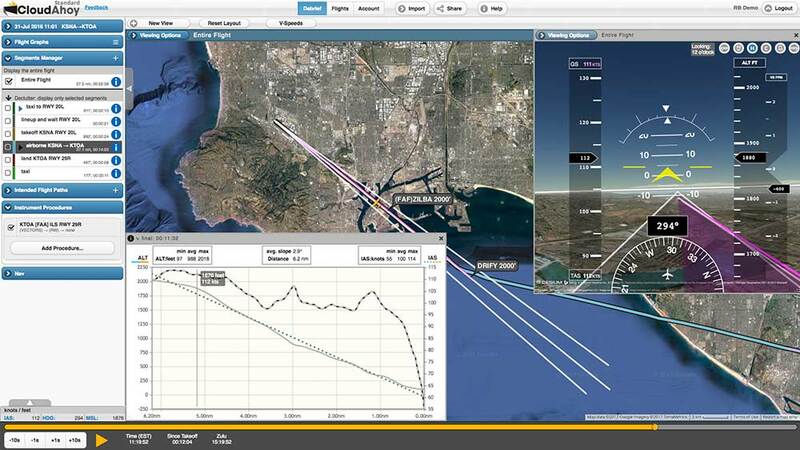 Bringing technology to debriefing - adding value to any flight training, enhancing the experience of flying, and helping make better pilots. Debrief is getting better and easier to use, worldwide! The approach is probably the most important maneuver in your flight. We improved its analysis and display - making debriefing of approaches much more effective. 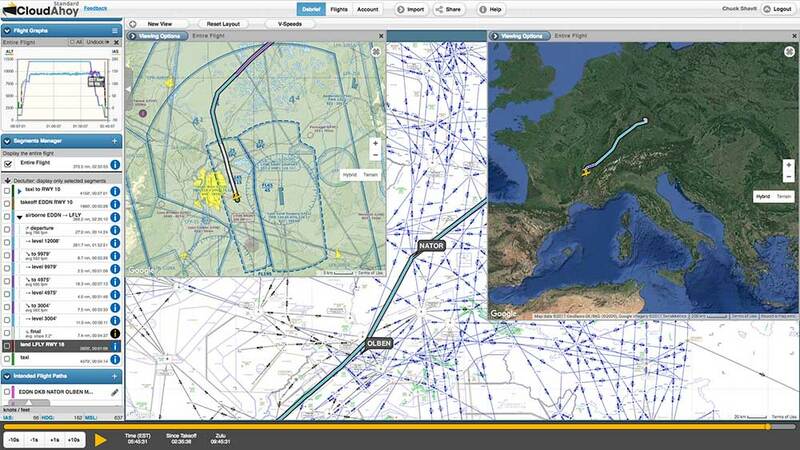 We are delighted to have SkyVector VFR and IFR charts worldwide. Our international customers can now use charts for debrief, and our US customers have faster and higher quality charts. Focus on a single approach by using declutter. Easily identify approaches in the segment list. Notice the black icon for segment info. 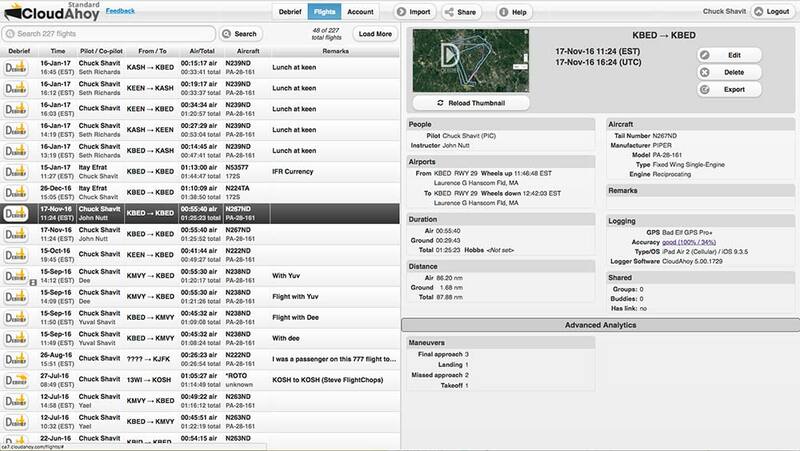 Right panel with detailed flight data, including a thumbnail for quick viewing. Roles: student, CFI, safety-pilot, etc. 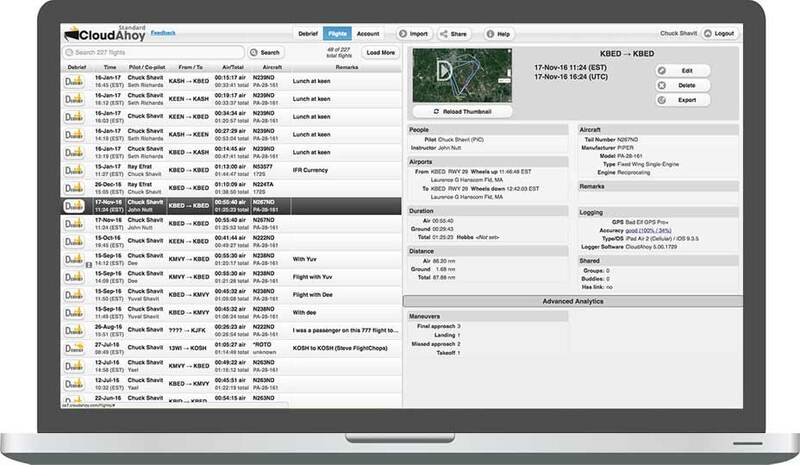 Search - your entire flight list, for airport, pilots name (e.g. student, safety pilot, etc.) , remarks, and more. Advanced Analytics: List of maneuvers, automatically generated. 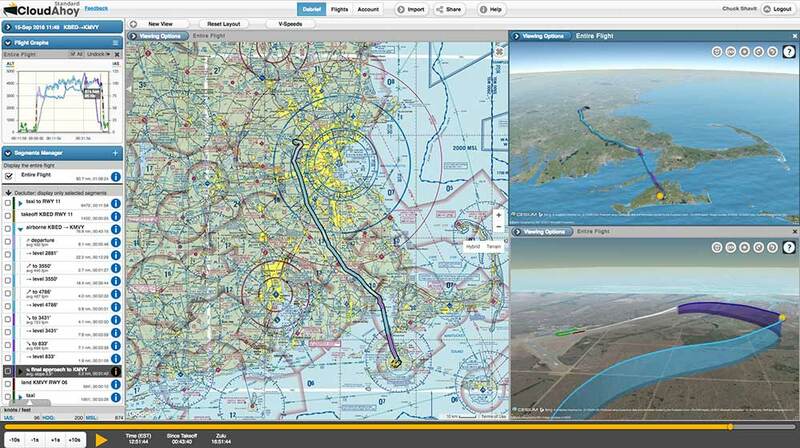 Everywhere in the world - VFR and IFR LO/HI from Skyvector. 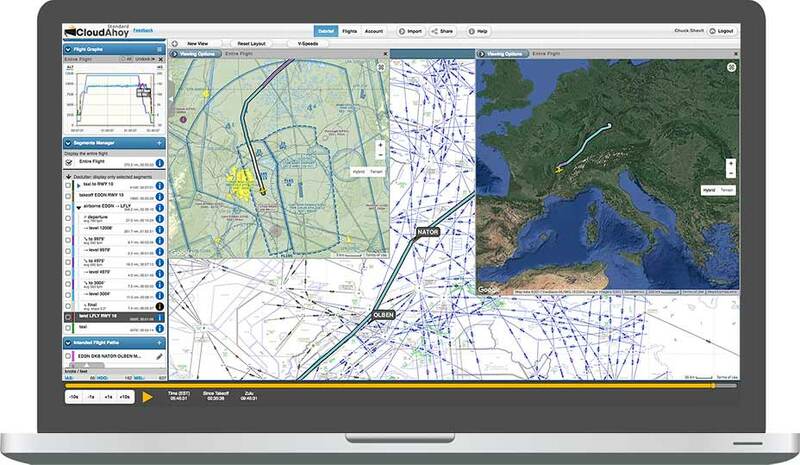 Instrument approaches editor for creating procedures and waypoints per demand. 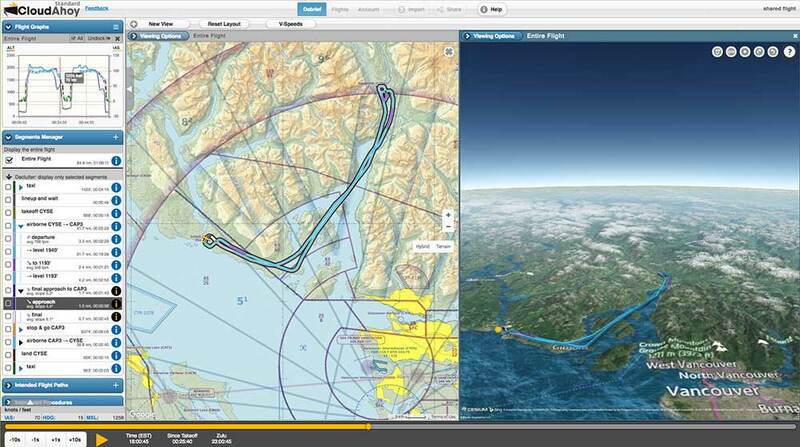 As part of including SkyVector charts in CloudAhoy, our many users in Canada can now debrief with charts too. Customers in the US enjoy the benefit of SkyVector charts.